Baking during the Fall is my favorite time, there are so many delicious flavors – pumpkin, cinnamon, cranberry, apples and more. 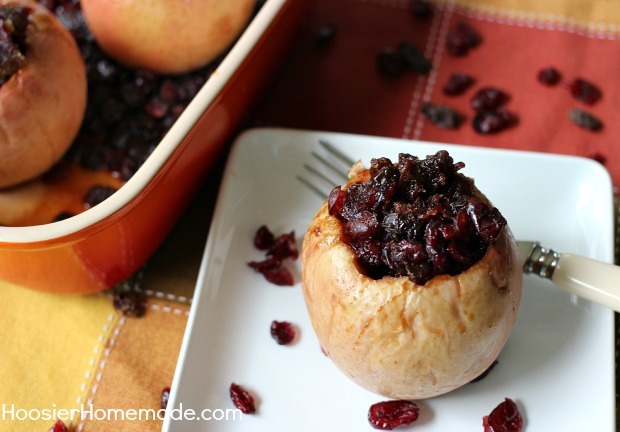 It doesn’t get any easier than this Baked Apple Recipe, filled with cranberries, raisins, cinnamon and brown sugar. We are blessed to live in an area that has several apple orchards. We all look forward to heading there during the Fall, the one that we usually go to has a horse drawn wagon that takes you out to the fields. Then after we have picked a couple bags full of apples, we head into the store to get some freshly made doughnuts. Last weekend, our middle son who is away at college asked for some of the doughnuts, I guess we need to make another trip there soon and take him some. 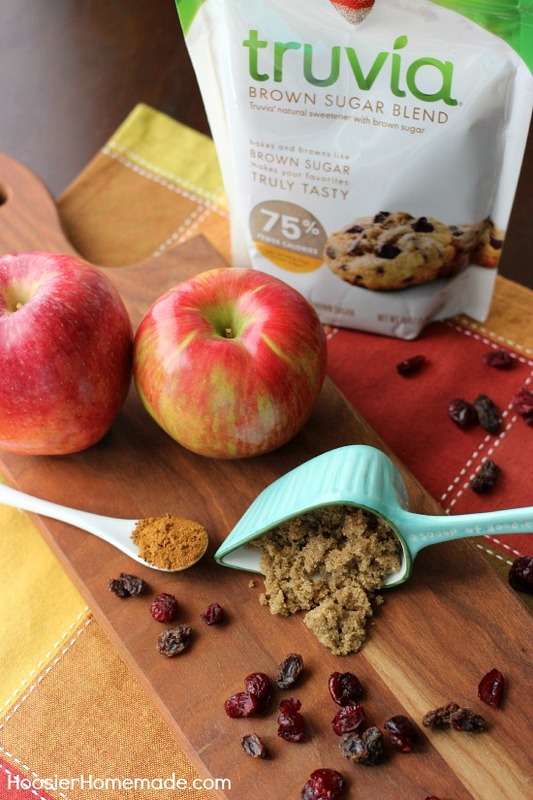 For over a year now I have been sharing recipes with you made with Truvia Baking Blend. I even shared a recipe for making Brown Sugar with Truvia. I’m super excited to let you know that they now have Truvia Brown Sugar. It’s designed for the home baker and is made with a blend of Truvia natural sweetener and brown sugar. It has brown sugar-like taste and texture for recipes and is the only brown sugar product that offers 75% fewer calories than brown sugar per serving. 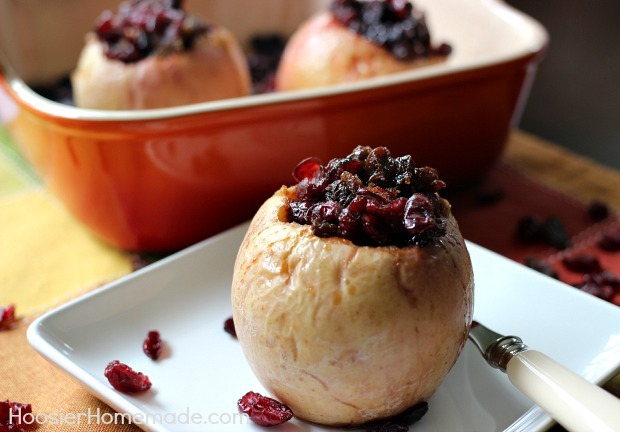 These Baked Apples are made with the Truvia Brown Sugar mixed with cranberries, raisins and cinnamon. Simply core out a V shape in the apple, spoon in the mixture and bake. 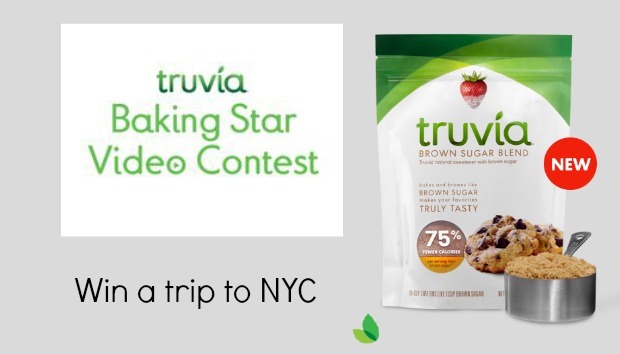 Head on over to Truvia Baking Star to enter and YOU could be one of three people, along with a guest, who win a trip to New York City to compete for the title of Truvia Baking Star! 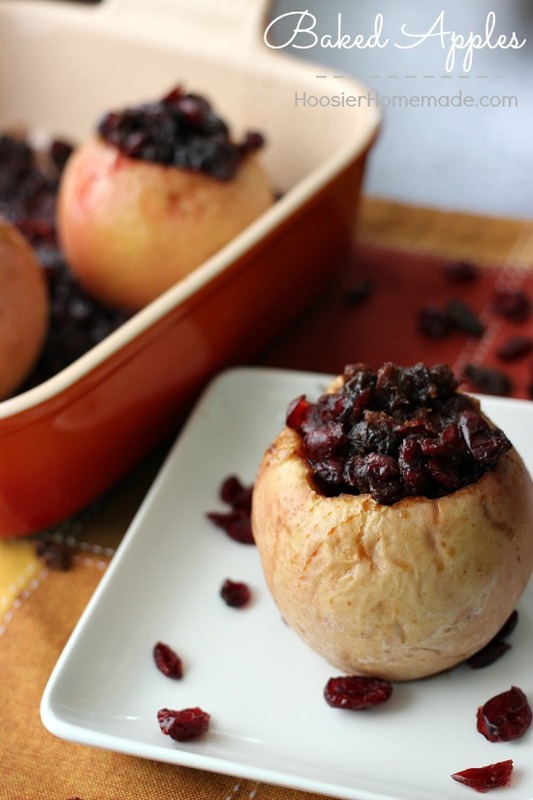 You may need to cover the dish with foil to prevent the cranberries and raisins from browning too much.